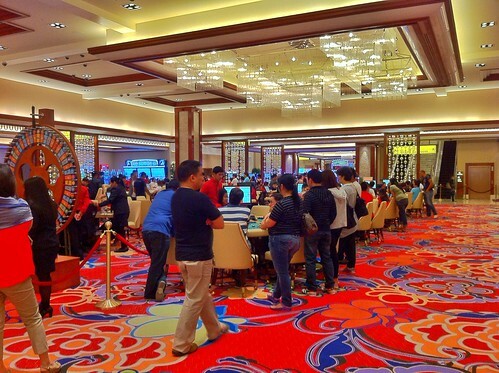 I found out about the newly-opened Solaire Resort and Casino at Entertainment City through the Instagram updates of several of my blogger friends. I got curious of the nice pictures they posted so I asked the hubby if we could go there one time. It seemed he was also interested in the idea because the day after, he told me we’d check out the place and probably play in the casino Friday night. Cool. And so last Friday night on our way home to Bacoor, we dropped by at this world-class integrated resort complex just to know what the fuss was all about. 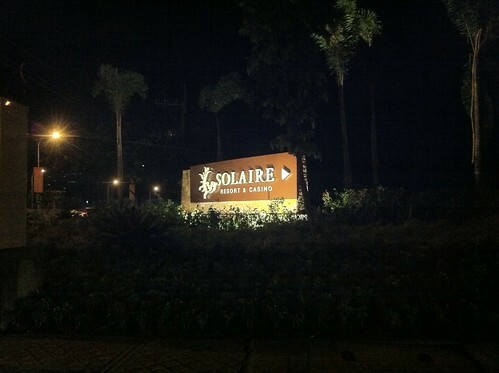 Traffic was light at past 10pm so after around 20 minutes, we got to the place and parked our car inside the parking building that lets you park for free as a courtesy of Solaire to their guests. 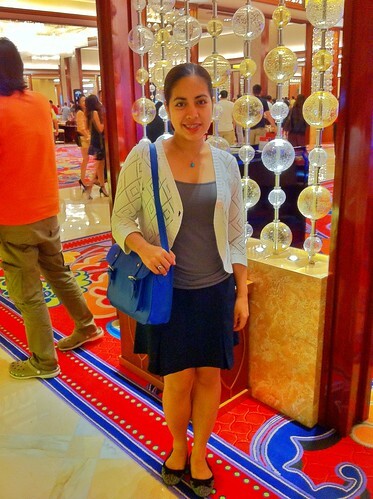 OOTD, from office to casino, what? Solaire is huge. 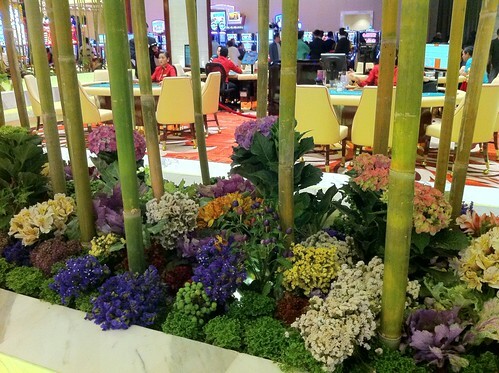 Upon entry, the casino welcomes you with open arms. I saw a lot of slot machines, some money wheels and tables with pontoon dealers ready to give anyone a play. Bets start at P300, FYI. We looked for tables playing roulette (the game most familiar to us!) but we didn’t find any. That, or maybe we just missed it. 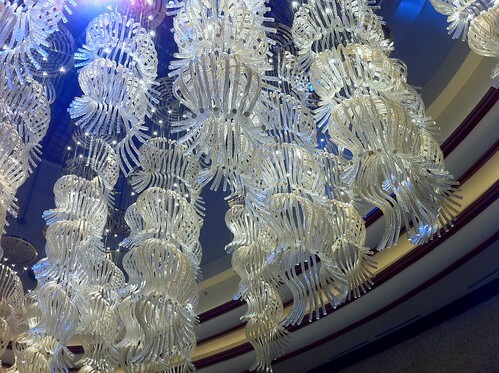 There were also a food court and several stand-alone restaurants (both fine-dining and casual ones) and at least two boutique shops that sell luxurious items at sky-high prices. I saw a watch worth P1 million plus, OMG. As for the actual hotel, we only saw the entrance to it. Haha, you are not alone. I can so relate to the money part!